What would you say is the prequel to the Lord of the Rings? Yeah, that’s not this. With an estimated cost of over $1B, the new Amazon series will look into all of those details we get in the appendices about Aragorn’s life as the ranger and heir to the Gondorian throne. When Gandalf took Bilbo and the dwarves to Rivendell, the young heir was there, though perhaps not around them. A few years later, he was told who he was, that the sword of kings of Arnor was his, and that he needed to watch his back. That’s when he began to roam Middle Earth and later served under two kings for many years. John Ronald Reuel Tolkien was born on this day in 1892 in Bloemfontein, South Africa. Here’s a recording of an interview from the 1960s. I think you can identify the slight slur in his speech, caused by an early tongue injury. By all accounts, it did not affect his lecturing voice, but it did make him hard to understand, sometimes, in conversation. Behold, I have completed yet another journey through The Lord of the Rings. It offered the usual fears and joys and tears and thrills, along with the occasional stretch of tedium (it does have them, you know; adds to the verisimilitude). That’s an exquisite moment. I’ve never been a veteran, but I’ll bet any man who’s been in combat has had moments like that. It’s annoying that the old folks at home don’t understand what you’ve done or what you’ve been through. But there must also be a sense that it’s good that this is so. That they don’t understand means you’ve done your job. This provincial ignorance is one of the things you risked all to protect. Addendum: I just had a thought. They strove in The Hobbit movies to make the characters more “diverse.” They should have cast some east Asians as elves. They’d have made great elves. 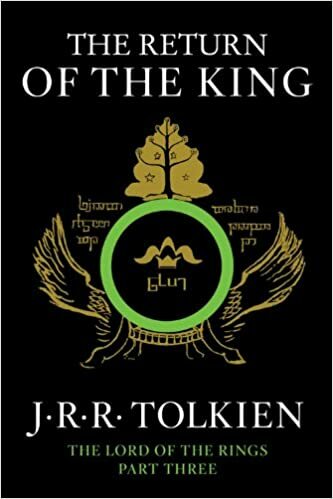 I’ve finished the narrative of The Return of the King (I’m going on to the appendices now, because, hey, they’re there). Here are a few things that struck me. Frodo felt that he was in a timeless land that did not fade or change or fall into forgetfulness. When he had gone and passed again into the outer world, still Frodo the wanderer from the Shire would walk there, upon the grass among the Elanor and niphredil in fair Lothlórien. I have finished my latest re-reading of The Fellowship of the Ring (don’t ask me how many times I’ve read it; I haven’t kept count. I know many a geek has surpassed me in that department). The last time I read the Trilogy was in the wake of the releases of the Peter Jackson movies. I remember that I had to struggle a bit to override the film images in my imagination (as I’ve mentioned before). This time through, although the “struggle” remained, it bothered me less. I found that I relished the depth and scope of the book, compared to film with its many limitations (even in wide-screen with special effects). Continuing my theme from last night’s post, I was most struck by the sense of time in the book – an impression of a comprehensive history, often only hinted at but lurking behind every corner. You can learn much of that greater history in the works that Christopher Tolkien has given us, but frankly I’ve never had the patience for all that. I don’t need to know the details. I just need to know it’s there, adding a deeper perspective to the epic narrative. This is a lesson to writers. Writers are often told, “Write what you know.” And that’s good advice, but it doesn’t necessarily mean “Write only about your own life and experiences.” You can know many things outside your experience. Tolkien writes with such authority about the Third Age of Middle Earth (which, if you didn’t know, corresponds to the Norse term for our planet in mythological terms – Midgard) because he had put in a lot of hard work creating a coherent world with a coherent history, including languages. All those things were imaginary, but he “knew” them because he’d spent so much time with it all. That’s what we really mean when we say, “Write what you know.” We mean know your basic material, even if you’re making it up. Do your spade work before you plant. We live in the golden age of research – the internet gives you access to resources the greatest scholars of the past could only dream of. Take advantage of them. In recording my Lord of the Rings reading impressions, I keep reminding myself that I’ve got to let the movies go. The web is full of criticism of the films. I can add nothing useful. But let me say this. I read visually. I stage the scenes in my head, and watch them (more or less) like movies. The real world movies are hard to get free of. Humans are visual creatures. Things we see inevitably supersede things we imagine, however vividly. 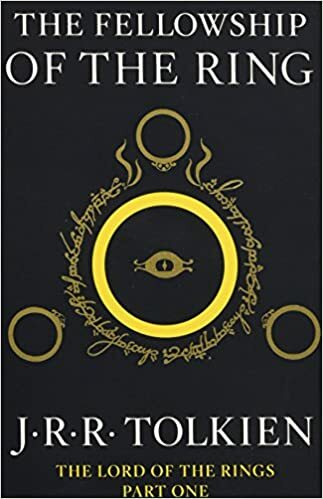 As I read (I’m on The Fellowship of the Ring now), I consciously attempt to recall to myself the actual book descriptions, but the actors and sets of the films keep washing over them. (For instance, Frodo is described in the books as “fair,” meaning blond. Doesn’t look much like Elijah Wood at all). For that reason I appreciate the undramatized sections of the novels even more. They are unadulterated, so to speak. Not that I’m complaining. The movies have many excellencies which I enjoyed. But when I’m reading I want to engage with Professor Tolkien himself. Since the movies came out, they are my main deceivers. But I had deceivers before then – mainly my own misunderstandings. For instance, on my first reading I got the elves completely wrong. I was in high school at the time, and I still thought of elves as “little” people. I don’t know how I missed the description at the banquet in Rivendell, where both Glorfindel and Elrond are described as being taller than Gandalf. But I did. I imagined elves as basically like dwarves (even to having beards), but better looking. When at last I was disabused of that fallacy (I think my college roommate might have done it), I abandoned it with pleasure. That was around the time I met a girl who was very like Goldberry. I see her still, in my imagination, every time I read the books. I’m glad no movie actress has superseded that image. Brenton Dickieson offers what he calls “The Shocking Reason Tolkien Finished The Lord of the Rings,” drawn from the author’s letters. 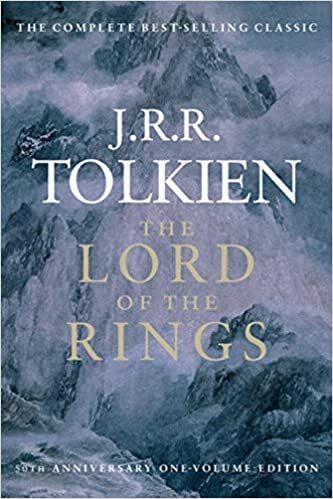 Tolkien suffered with illness and a busy schedule for a quite a while and made excuses to his publisher for not making progress on their planned sequel to The Hobbit, but something happened to provoke him to write again. I’m still working through the Inklings book I’m reading. I must be getting near the end – most everybody’s dead now. Maybe there’s a long notes section at the end. But for now, you’re stuck with my idle thoughts. My reading today got me thinking about The Lord of the Rings, and my mixed feelings about the Peter Jackson films. I remain a fan of the original movie trilogy. It has its flaws, but all in all (and this is my personal metric) the experience of watching the films is fairly similar to that of reading the books. So they get a thumbs up. The Hobbit movies are a different matter. I saw them in a theater, but hope never to watch them again. Still, there are moments in the LOTR movies that should have warned me, I think, of what was to come with the Hobbit fiasco. I’m thinking primarily of the treatment of smoking. It’s impossible for anyone who understands Tolkien’s life and culture, his friends and environment to understand the smoking in the LOTR books as being about anything but tobacco. Tolkien and the Inklings were inveterate smokers. No doubt we might have enjoyed their presence in this world longer if they hadn’t been, but the world was different then. Lewis is on record as disbelieving all the health warnings. But in the very first movie, as Gandalf and Bilbo smoke together, they consistently refer to what they’re smoking as “weed.” That’s shorthand, of course, for “pipeweed,” which is what tobacco is called in the books. But the clear implication for the modern viewer is that they’re enjoying marijuana. This is reinforced later on, when Saruman taunts Gandalf, saying that his love of “the halflings’ leaf” has muddled his thinking. Of course it’s a different world today. People today are taught to treat tobacco as if it were plutonium. It has almost become magical in its evil effects, in the public imagination. So Jackson, no doubt, thought he was helping Tolkien out by turning his beloved tobacco to cannabis. In so doing he changed the Shire, replacing Tolkien’s idealized agrarian English village with something that might be his own ideal – a 1960s California commune. And that’s Jackson’s problem, it seems to me. 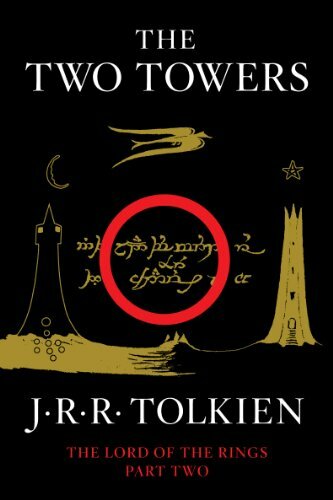 He thinks he’s in a position to correct Tolkien. To explain to him how a story really ought to be told. In his view, he is the master, Tolkien the student. Tolkien is lucky to benefit from his storytelling genius. And that’s what spoiled the Hobbit movies. In any case, the word also has its positive meaning. I’m on a brief hiatus now, having finished my last summer course on Saturday, and having begun a week of vacation today. I plan to fritter away my time cleaning the house, and maybe watch a few shows on Netflix. Tried the first episode of “Peaky Blinders” last night, on Andrew Klavan’s recommendation. Verdict: No, not for me. Too sunny and optimistic. My grad school course was “Back of the Book Indexing,” which I never even knew was a discipline. I knew there were indexes in the backs of nonfiction books, and that they were often very valuable. I had no idea there were different ways to organize them, and debates raging between scholars and librarians as to how they should be alphabetized. Very abstruse stuff, and in the end it tends to be kind of subjective. But I think it was probably the most fun class I’ve taken in my graduate curriculum. It didn’t hurt that the instructor was bubbly and enthusiastic and seemed to think everything I wrote was just wonderful! In September I’ll start my final (God willing) semester of classes. I see the light at the end of the tunnel. Thanks for bearing with me through the process. A couple Sundays ago I went down to Kenyon, the old home town, for the semiannual (biannual? Every two years) family reunion. Attendance was down this year. Not only have we lost a couple archs (the patri- and matri- kind), but it seems to me as the old people pass on, the younger people see less reason to rally round. The old folks were the big exhibits that drew in the crowds. I’m becoming one of the old folks myself, but I think I lack the venerability of the pioneers. Regular readers here are already aware that I’m a man of many prejudices, so it won’t surprise you to know that I approached Marjorie Burns’ Perilous Realms: Celtic and Norse in Tolkien’s Middle-earth with suspicion. I fully expect any book written by a female academic to be tailored for the Women’s Studies Department—full of anger at men and contempt for the Christian religion. So I’m delighted to report that this book, written by a female English professor at Portland State University, was a very pleasant surprise in almost every way. Gender issues are certainly in Burns’ mind as she examines the accusation that Tolkien’s work, with its vast majority of active males and small minority of (generally) passive females, is a mark of misogyny. But she stands up for him in what I’d call a courageous way. For one thing, she thinks that Tolkien (based on the prejudice mentioned above) had the Celts in mind, and therefore a sort of vital femininity, in his portrayal of the Elves. She also makes much of the manner in which males frequently assume traditionally feminine roles in the books—cooking, nurturing, housekeeping, nursing, etc. She also spends much time refuting the accusation that Tolkien’s characters are cardboard, either all good or all evil. She not only points to the weaknesses, frailties and near runs with temptation that the good characters display. She also notes the way Tolkien “doubles” his characters—each good character being matched with an evil one. Thus, while Gandalf clearly embodies many of the more positive characteristics of the Norse god Odin, Sauron (who, like Odin, has one eye) displays the god’s wicked traits. Burns ends the book with a short chapter outlining three questions about the books, and giving her own answers. These answers are blessedly free of radical feminism or condescension towards Tolkien’s Christian faith. In fact, she seems to appreciate the significance of the doctrine of the Incarnation. So I enjoyed the book very much, and recommend it. Here’s something I meant to include in my recent review of Poul Anderson’s Mother of Kings, but left out because the thing was long enough. This way I can make another whole post out of it, which saves me thinking up a new idea. (By the way, it just occurred to me, how come it’s “Poul Anderson” and not “Poul Andersen?” He was Danish, and the standard ending for Danish patronymics is “sen.” I suppose it can be traced back to some culturally insensitive immigration official, like the one who made the Kvalevaags into Walkers). Anyway, I wrote that I found Mother of Kings kind of dull. I gave a couple reasons, but left one out. It involves what I consider a common problem in novels about Vikings and in heroic fantasy in general.